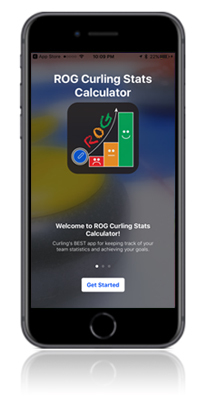 Download ROG Curling Stats Calculator, Curling's BEST app for keeping track of your team statistics and achieving your goals! 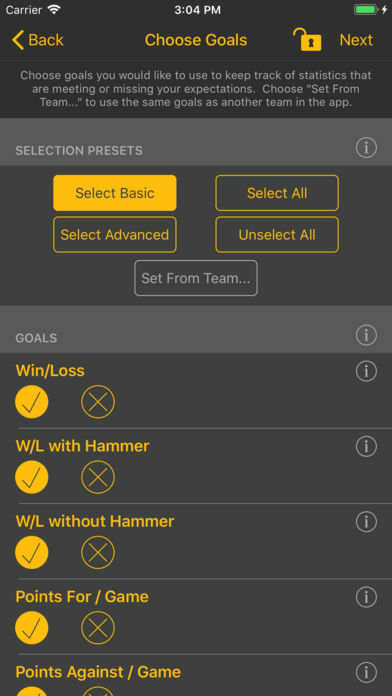 Simply enter your linescores and get in-depth team statistical analysis right at your fingertips. 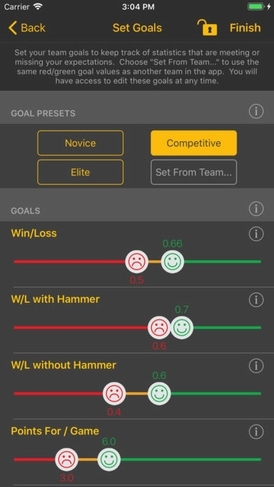 Quickly view missed or reached goals to get an inside scoop on how to improve your team's performance. Each goal is fully customizable and can be changed at any time. Perfect for all skill levels, from novice to elite. Track your team's Force, Hammer, and Steal Efficiencies (FE/HE/SE) along with 60+ other useful statistics, eg. 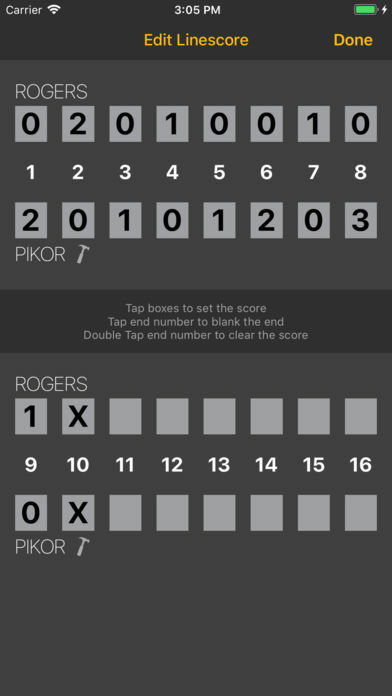 Win-Loss record in Extra Ends with Hammer. 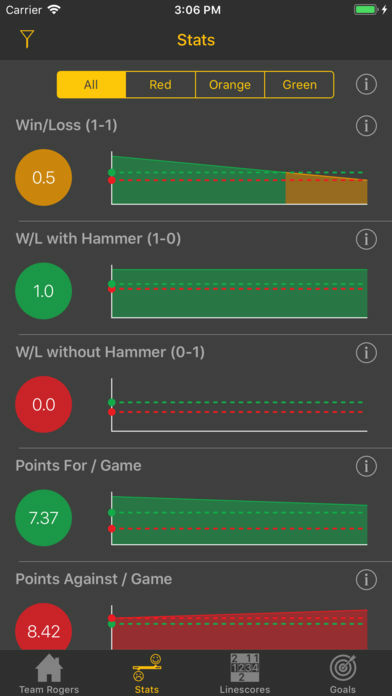 The ROG Curling Stats Calculator provides per-stat trend analysis, with colour coded statistics (Red - Poor, Orange - Ok, Green - Great). 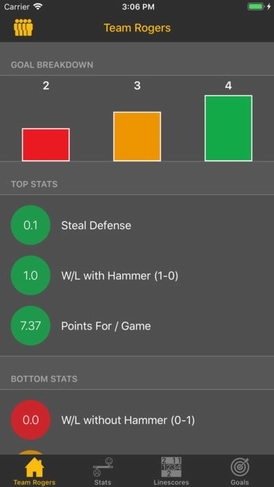 The dashboard gives teams a centralized view of their best and worst stats, as well as stats that require attention. 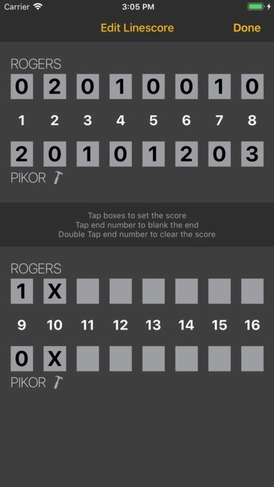 A "MUST HAVE" app for all curlers, coaches. sports media and curling fans! The perfect companion for hockey coaches, players, and fans! Simulates a volleyball clipboard for coaches, players, and fans! Simulates a basketball clipboard for coaches, players, and fans!